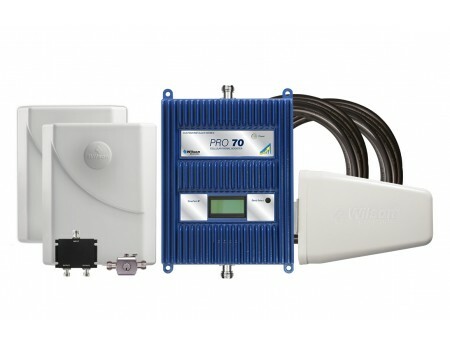 The Wilson Pro 70 Signal Booster Kit with 2 Inside Antennas is one of our most popular, professional grade signal booster kits. 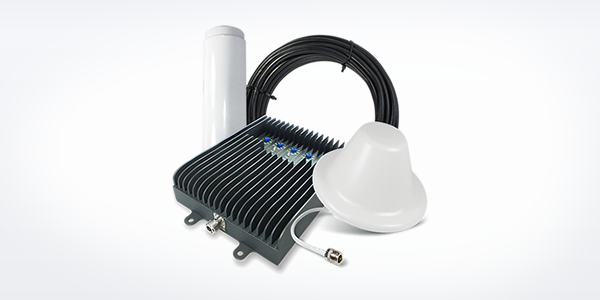 It is designed for large homes, offices, buildings, or any other area that requires more than one inside antenna to cover with boosted signal, and includes everything you need to install and immediately begin boosting signal. 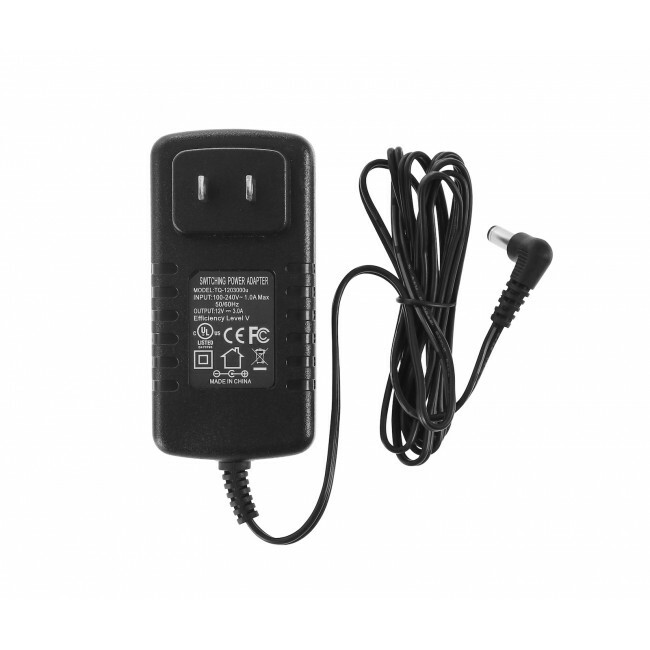 The kit also includes a lightning arrestor kit for added amplifier protection and an LCD display for system monitoring and easy troubleshooting. Why the Wilson Pro 70? 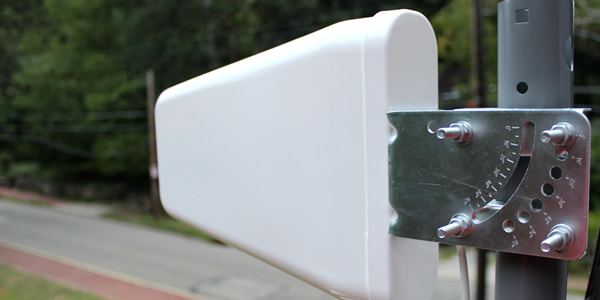 Two inside antennas provide more coverage than a single antenna. 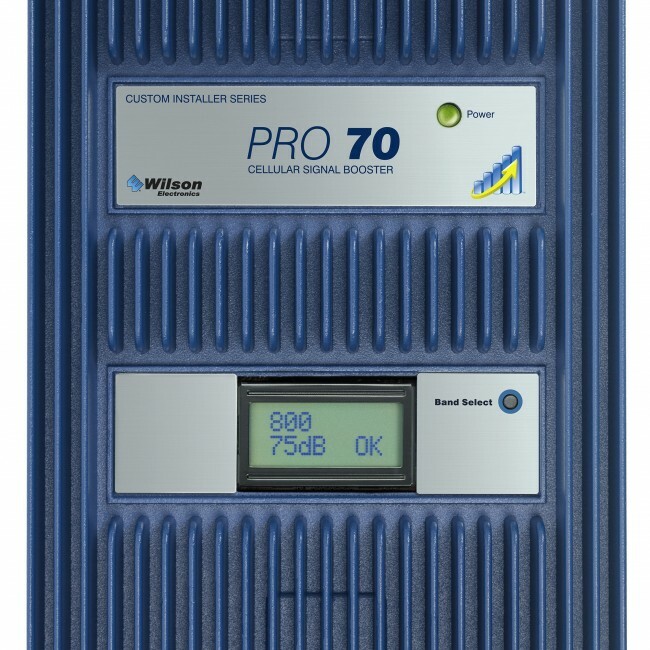 The Wilson Pro 70 signal booster with 2 inside antennas is a professional grade cell phone signal booster solution that is ideal for large homes, medium sized offices, or anywhere that has a weak to medium strength outside signal and requires 2 inside antennas to provide the necessary coverage inside. The Wilson Pro 70 is especially good for installers, as the LCD display allows for easy troubleshooting of the individual frequency bands, as well as monitoring of overall system performance, and the included lightning protector kit ensures that there won't be issues down the line with electricity surges impacting the amplifier. 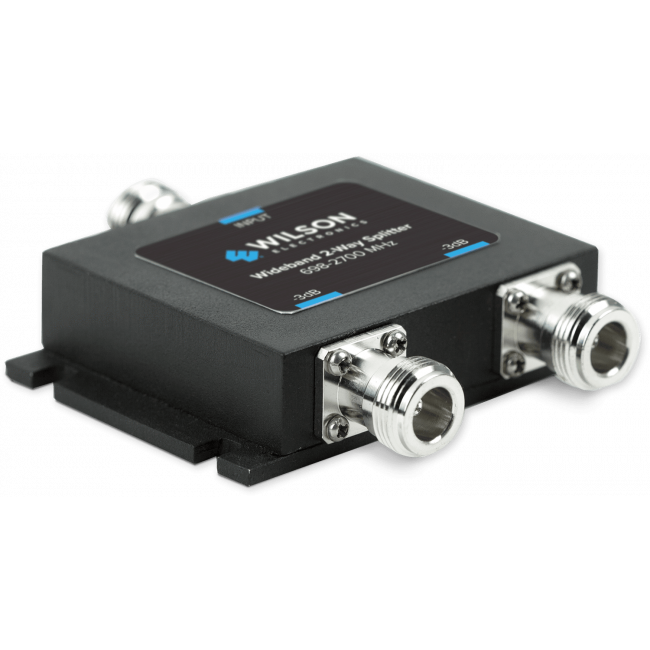 The Wilson Pro 70 system uses a yagi directional outside antenna that's typically mounted to a pole (not included), at or above the roofline of your home or office, so it can pick up the strongest existing cell signal in your area. That existing signal is received by the antenna and sent over a cable to the Pro 70 amplifier, which boosts the signal and then passes it over a short jumper cable to a low loss splitter. 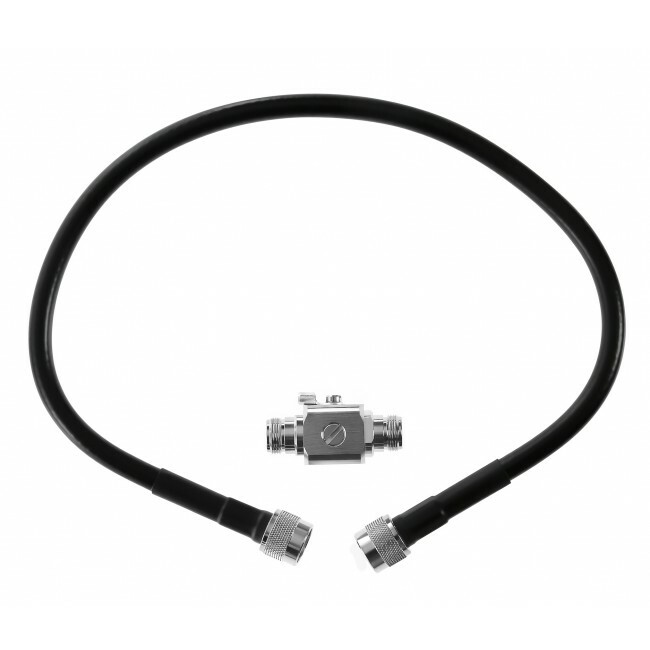 The splitter than passes that signal over two new cables to two inside panel antennas. 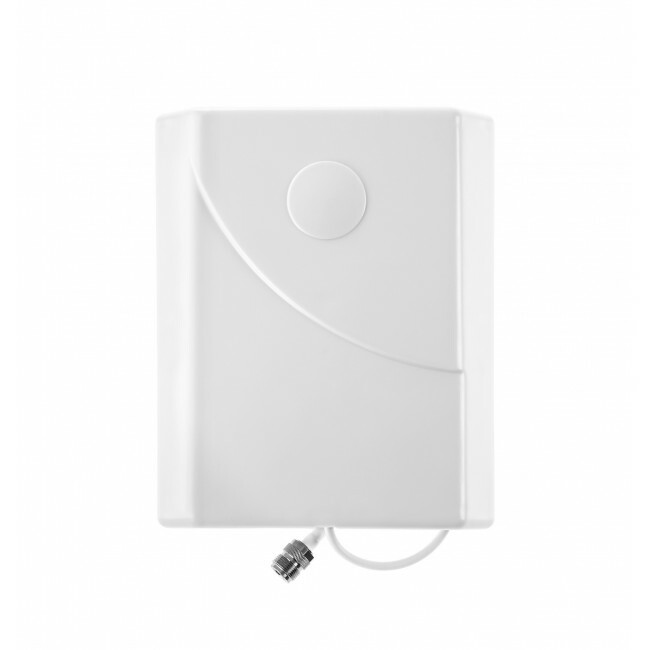 The inside panel antennas then broadcast the boosted signal to the areas of your home or office that require better cell signal. 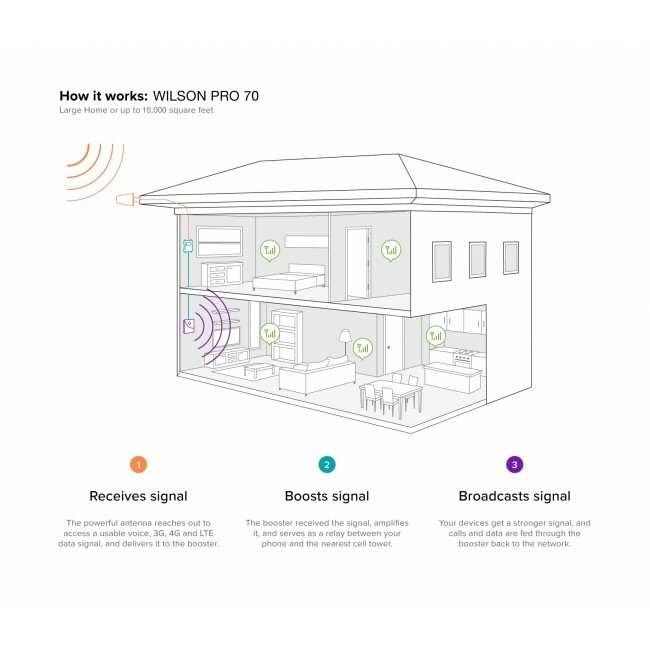 If you need more coverage than one system will provide due to a weak outside signal, you can install multiple Wilson Pro 70 systems in your home or business. Please contact us for assistance with mapping out the ideal location for each system. 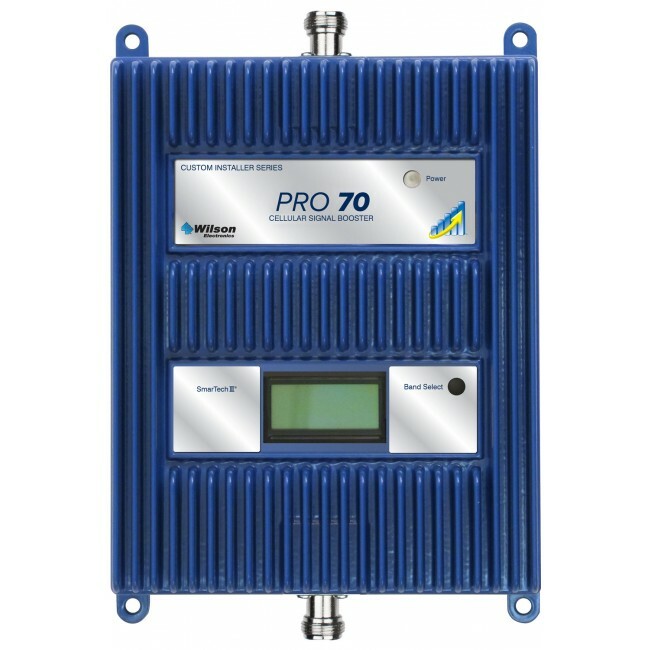 If you have a strong existing outside signal and need more inside coverage than the Wilson Pro 70 provides, then the Wilson Pro 70 Plus Signal Booster is going to be a better option for you. 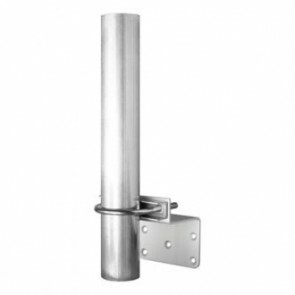 The Pro 70 Plus has a greater threshold for handling a strong outside signal, so it’s able to convert that into significantly more coverage inside of the building. Please contact us if you have any questions or would like more information about this system. The Wilson Pro 70 has been designed to work with all cell phones and all carriers in the United States, Canada and Mexico, as well as carriers from some other countries in Latin America, South America and Australia. 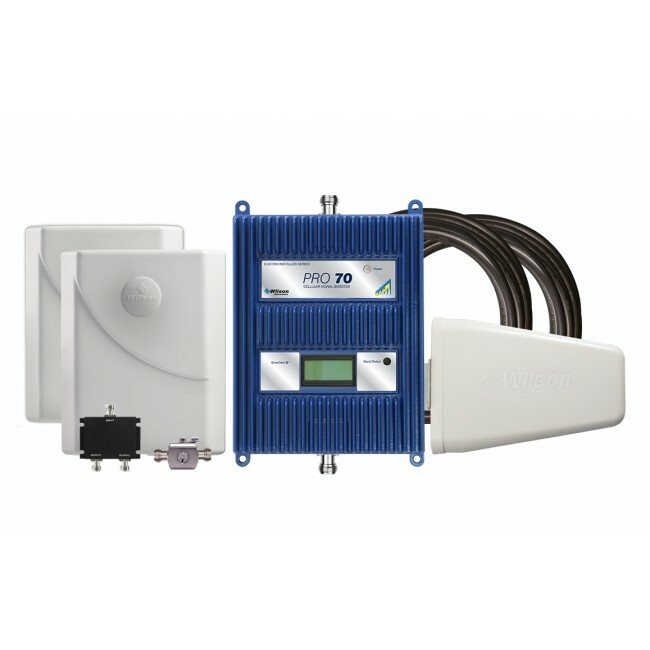 Installing the Wilson Pro 70 Signal Booster Kit with 2 Inside antennas is fairly straightforward, but will require running cable from the roof or elevated location into the building, as well as potentially drilling and screwing in components. We'll start the installation from the roof and work our way into the building. First, start by determining the part of the roof that receives the best signal, as we'll want to locate the directional antenna there and ideally aim it away from the building (and not back over the roof). Once you've identified the portion of the roof which is best, locate the vertical pole which you'll be mounting the yagi directional antenna as high up on the roof as possible. Attach the directional antenna and temporarily aim it away from the building. 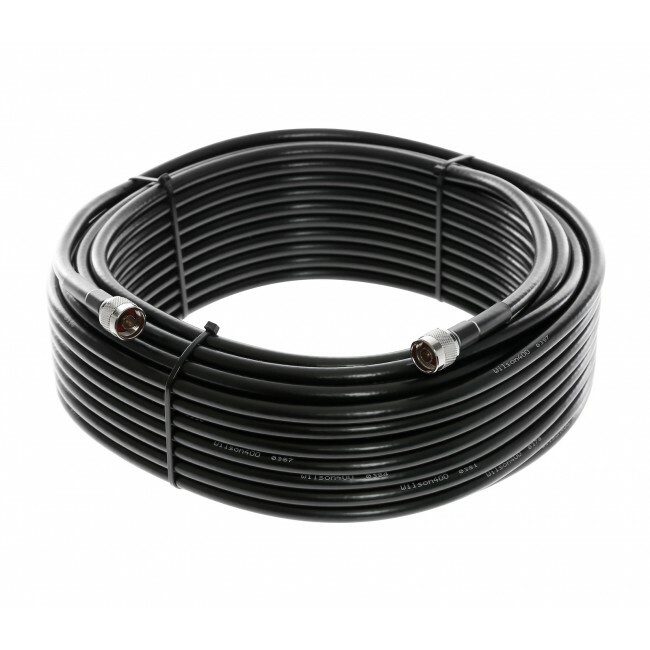 Run the 75 ft. cable from the antenna into the building. 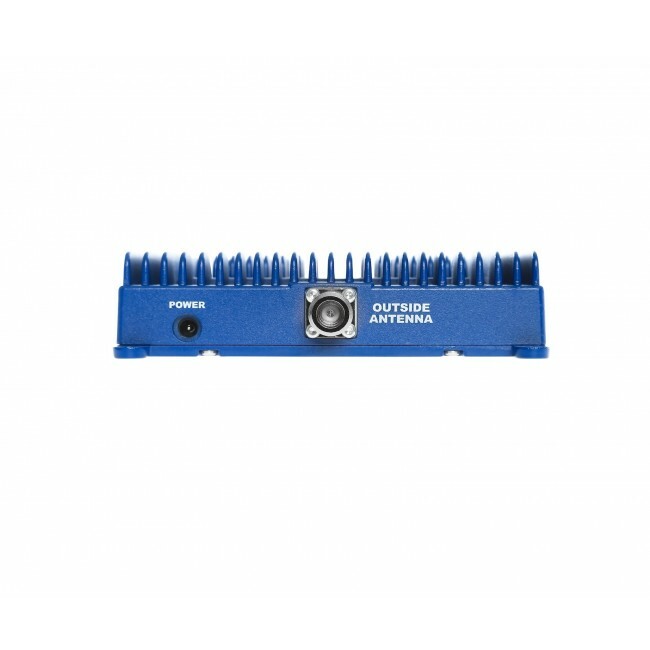 Once the cable is inside the building, run the cable to the area where you plan to locate the amplifier. 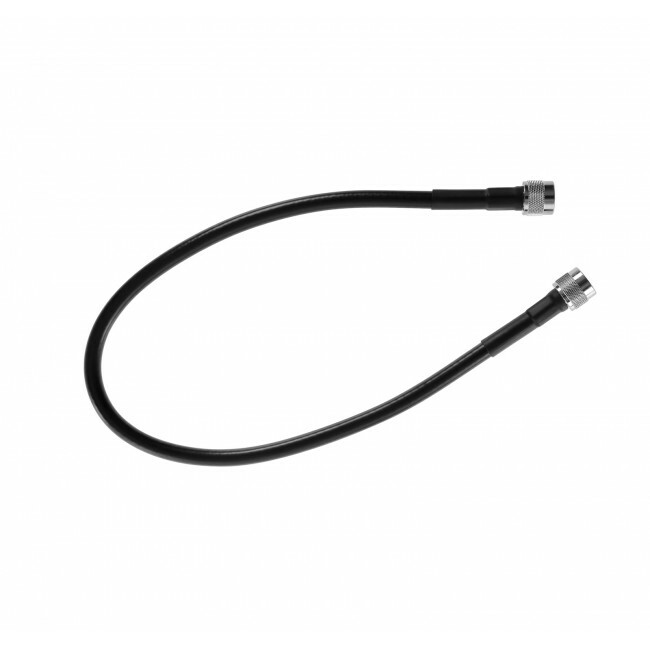 Attach the included lightning protector and then connect the 2ft cable to the "Outside Antenna" port of the amplifier. 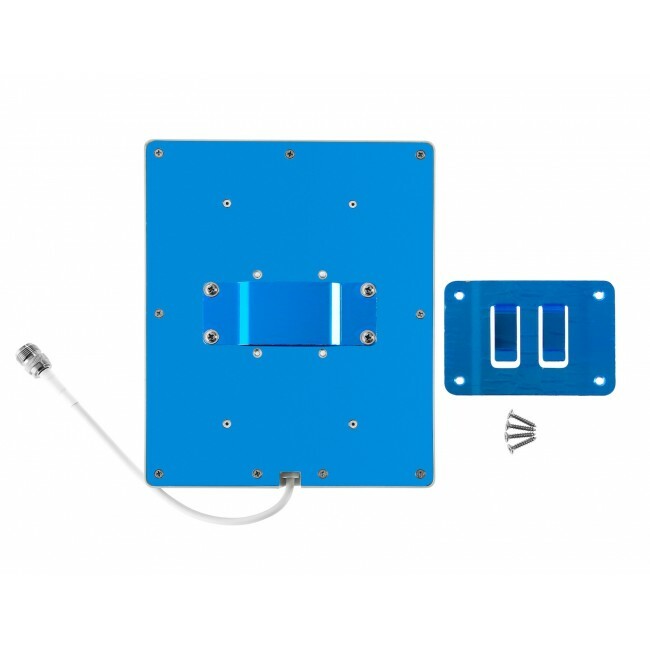 Connect the 2 ft cable, then the 2-way splitter, and then connect each of the two 60 ft cables to the two inside ports of the splitter. 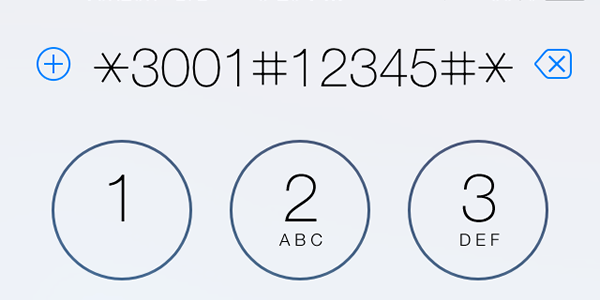 Run each cable to each location where you plan to mount an inside panel antenna. 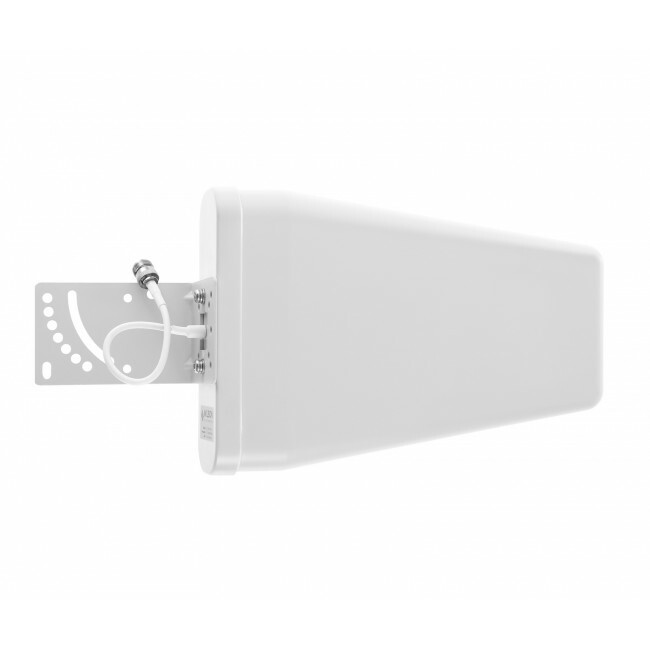 Attach each antenna and install either on the ceiling facing downwards, or on the wall facing across the area that you want to cover with boosted signal.